Pharma companies are looking at non-related industries with a track record in digital innovation to benchmark their own digital activities, but overall they continue to make slow progress in digital productivity. Developing a trusted, customer-focused reputation through multiple channels is key. The global luxury fashion house, Burberry, is ‘blurring the lines between the physical and digital world’ with the use of cutting edge social marketing technology in a bid to deepen connections with everyone who touches its brand. Burberry is using ‘The Salesforce Marketing Cloud’ – the world’s only unified social marketing suite – to provide a seamless link between its bricks-and-mortar stores, catwalk shows and digital channels, including social media. This enables customers to enjoy a unified experience of the brand, wherever and however they access it, and maximises sales opportunities for the company. For example, Burberry has opened a store of the future where visitors can opt to ‘check in’ on a mobile app that enables staff to access their basic digital profile, plus information on their recent Burberry purchases and relevant social media activity, thus enabling them to provide a personalised customer experience. The company also monitors what is being said about its brand all over the world on social media sites and responds to this, and customer queries submitted via its website, in real time. Some pharma companies are already looking at non-related industries that have a track record in digital innovation and this can be really helpful in enabling pharma to benchmark its own digital activities and be realistic about what it can achieve. However, according to the latest Across Health 2014 Multichannel Barometer survey, on the whole, pharma continues to make painfully slow progress in digital productivity and its investment in this area has plateaued to just 15.6 per cent of its total marketing spend, compared to 16 per cent in 2013. There is clearly a real feeling among pharma companies that digital is not proving itself. Yet, the report predicts that business pressures and customer needs will force pharma to focus on multichannel marketing in the next few years, as has been done in many industries. This is an issue that cannot be ignored. I believe the industry’s continued reliance on its own brand.com websites, which were identified by the report as the ‘most popular tactic’, is largely responsible for its digital woes. To achieve their ultimate goal of building brand loyalty, pharma companies need to be investing in customer centric engagement. Yet experience shows that while many doctors are keen to access the knowledge and data that pharma holds, they prefer to do this in a trusted, third-party environment. Indeed, research shows that only 3 per cent of doctors think that online pharma resources are credible and 42 per cent never visit pharmaceutical websites. As consumers we love a sense of community, the opportunity to express ourselves and the ability to share knowledge – exactly the things that digital technology is enabling us to do better and faster. Pharma needs to translate this into its sales and marketing activities by looking at what its customers are doing in their own world and how they interact. The ultimate expression of great marketing and sales is getting involved in a community of your customers. By meeting them in their own environment, you can find out what they want and define how to build the content that they need. Obviously, there’s got to be a ‘win-win’, for pharma and the information that it provides must meet its commercial objectives. However, it must add value to HCPs too, or it will fail. To be more customer-centric, pharma also needs to involve the customer earlier and more frequently. For example, conducting research ahead of a sales and marketing campaign is essential to find out what customers prefer, and getting doctors involved at this stage is a great way to engage with them and begin to build loyalty for a brand. For many pharma companies, multichannel marketing still means ’email marketing’, and digital engagement is viewed in isolation away from other sales and marketing activities. However, it is essential to integrate sales and marketing strategies, and to engage with your audience through the channels they use. For example statistics show that 89 per cent of doctors use online doctor networks for professional information, while 53 per cent use message boards, communities, social networks and blogs at least monthly1. Many of them access these channels via smartphones and tablets meaning that resources must be optimised for access on the go. Ultimately, every interaction with every doctor, through every channel, has an impact on the reputation of your brand; and developing a trusted, customer-centric reputation really is the Holy Grail for pharma, since it reduces sales costs and massively increases sales effectiveness. Jenny Cowderoy is managing director of Communications at M3 Europe. She is a highly experienced marketer and sales leader who has held positions within digital marketing agencies and blue chip FMCG. Most recently, she was industry head, healthcare, at Google, where she helped clients to understand and exploit digital marketing, branding and e-commerce opportunities, and was responsible for thought leadership, business strategy and sales growth across its portfolio of businesses. 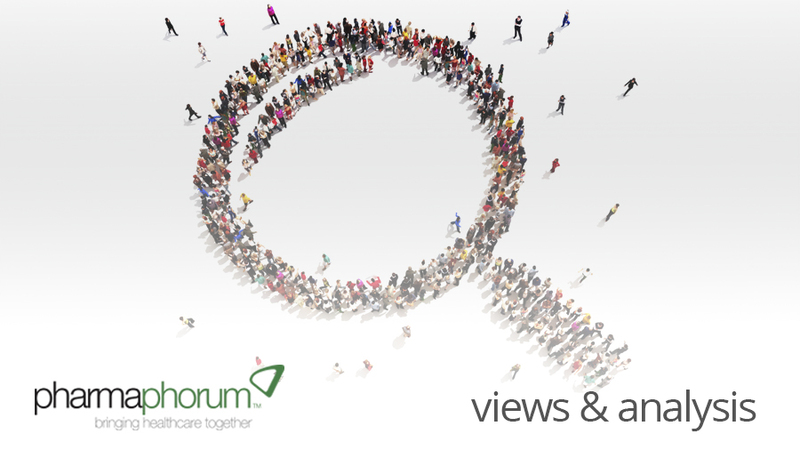 Have your say: How can pharma best engage with customers for the benefit of all?